Fischer's Chameleon iphone x case by David Aubrey. Protect your iPhone X with an impact-resistant, slim-profile, hard-shell case. The image is printed directly onto the case and wrapped around the edges for a beautiful presentation. Simply snap the case onto your iPhone X for instant protection and direct access to all of the phone's features! There are no comments for Fischer's Chameleon. Click here to post the first comment. Fischer's chameleon (Bradypodion fischeri) amongst leaves. This chameleon lives in the mountainous rainforests of Eastern Africa. Like most chameleons, it can change colour according to its mood and environment. 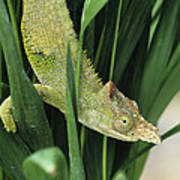 The eyes can be moved independently, and are covered by a cone-shaped scaly lid. 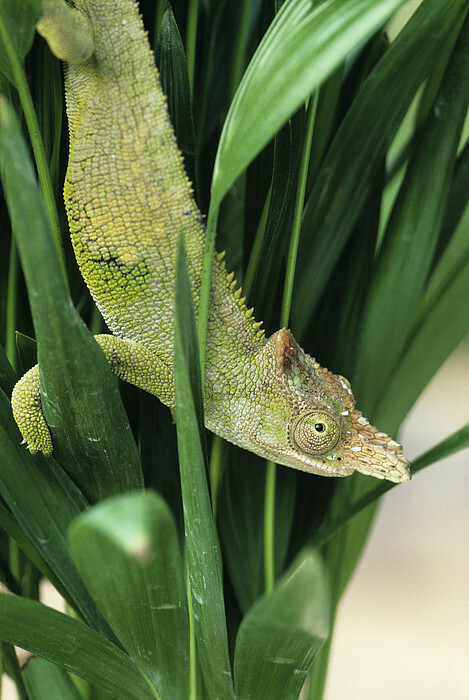 Fischer's chameleons can grow to 40 centimetres in length. They feed on insects and small lizards, which they catch by flicking out their long sticky tongue. 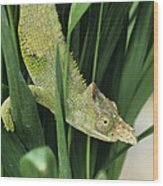 Fischer's chameleons are popular as unusual pets.